Last night we saw the sun set over the rooftops of Paris, the red light making the golden dome of Les Invalides cast a refulgent glow over the surrounding buildings. 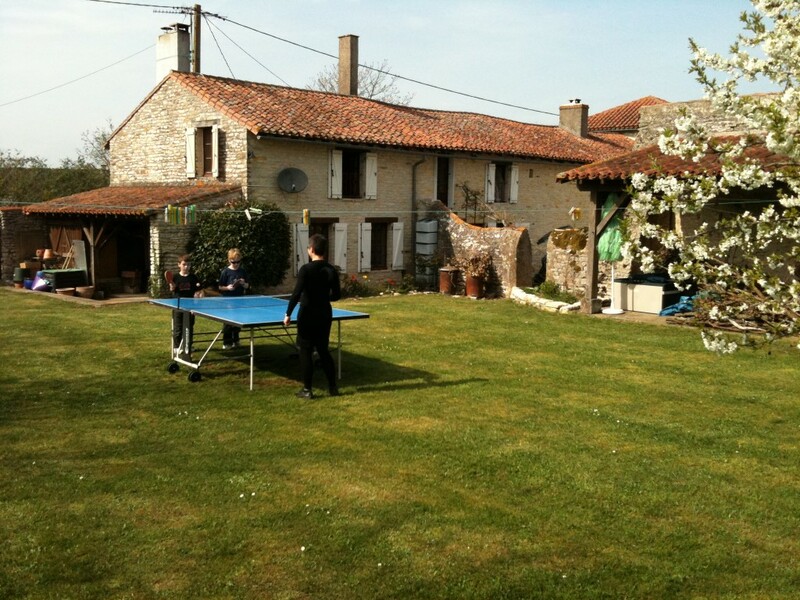 We only decided to go to Paris as a way of breaking up an awkward train trip between Dinan and Poitiers. We were in Paris about 18 months ago and visiting again wasn’t top of our priorities for this trip. So we spent less than 24 hours in Paris, but we had a lovely time. Our hotel, which was chosen solely on the basis of reasonable cost for something which we were all together, turned out to have a fabulous view out towards the Eiffel Tower, Les Invalides and Sacre Coeur. After quickly dropping our bags in the hotel we set out to walk to the Eiffel Tower, which was just down the road. For the last 18 months Callum has been mildly obsessed, not with the tower itself but with the street vendors we’d seen the police chasing off on our last visit. So he happily spotted illegal vendors while the rest of us looked at the Tower. We then wandered on to the Champs de Mars and a lovely little playground. Back in the hotel after a meal in a local brasserie, we saw the sun set and then the lights of Paris. We hadn’t realised that the lights on the Eiffel Tower were so spectacular and so getting the kids to stay in bed proved to be a challenge as they popped up every few minutes to see what had changed. This morning we got the other end of the process with the sun rising directly opposite us. Paris started the day with gentle mists around the rooftops surmounted by a lovely red sky. 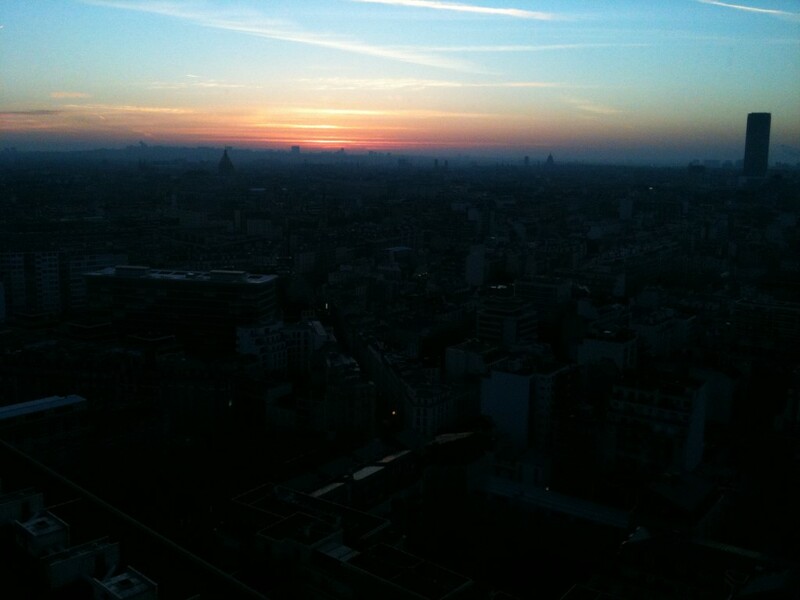 We watched the entire dawning and so Paris changing over the course of an hour or so while munching on croissants. We used the couple of hours before our train left to cater to our Napoleonic interest. 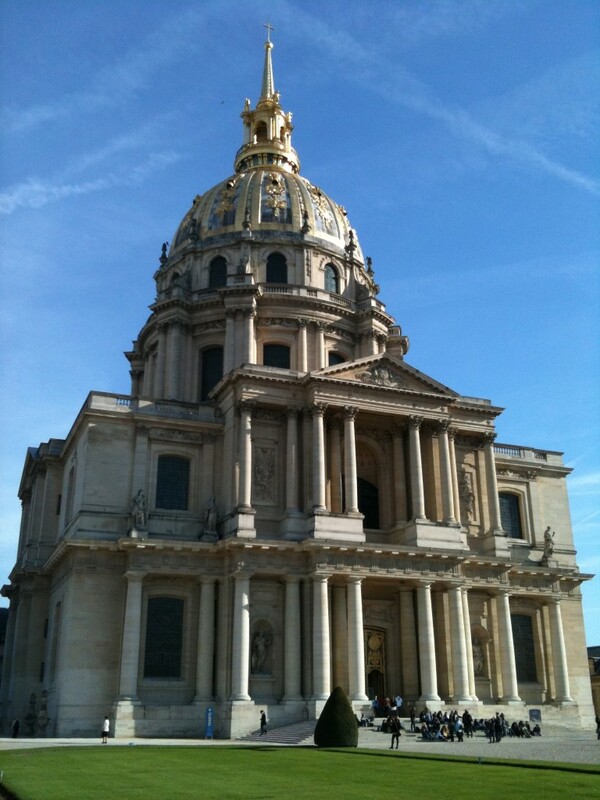 We walked to Les Invalides via the military college where Napoleon trained. 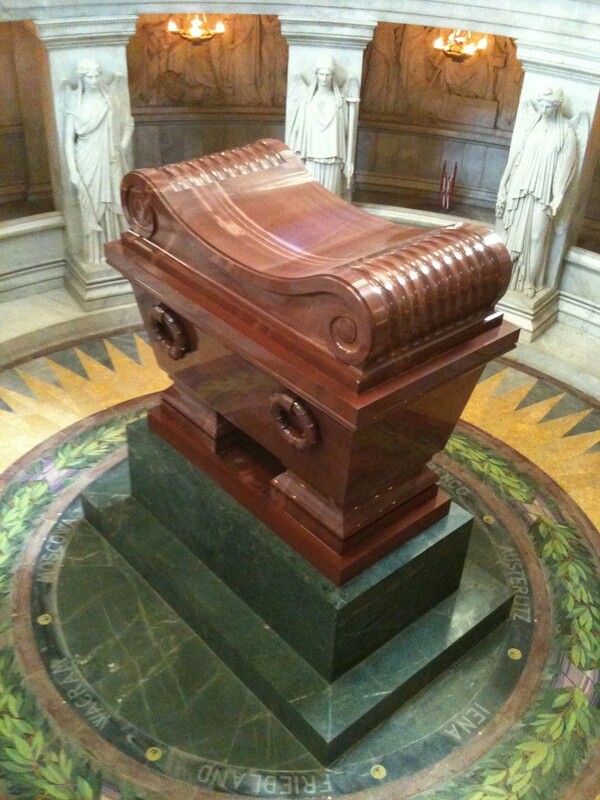 At Les Invalides we saw Napoleon’s tomb. The tomb itself is impressive, not least because of the lists of his achievements that surround the sarcophagus. It’s interesting that while the rest of Europe looks upon Napoleon as a flawed character he is still revered here in France – and when you see the list of achievements you can see why. Everything from universal public education to the Code Napoleon, and many of his lasting achievements impacted well beyond the French borders. We had enough time for a coffee in a cafe before heading to the station to catch our train to Poitiers. 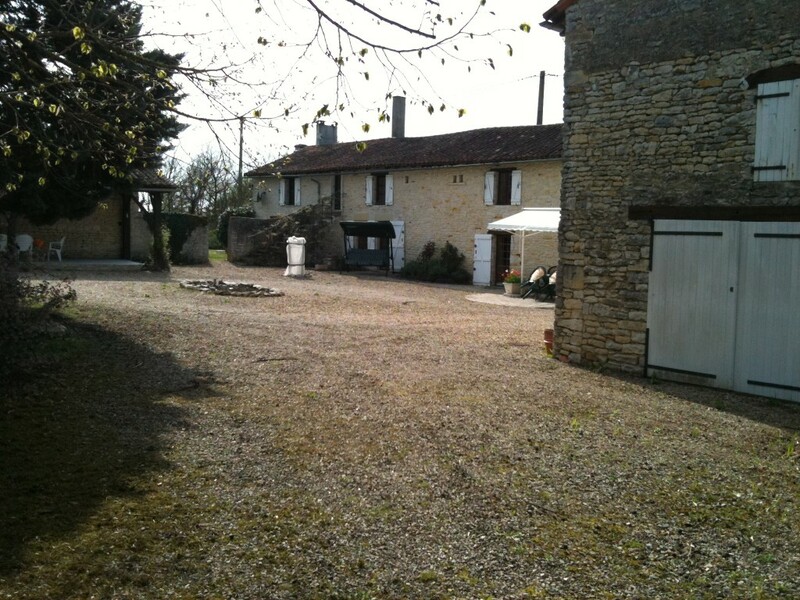 A couple of hours later and we were in our converted sheep farm in a village so small it is not even named on the maps. That was quite a 24-hours.